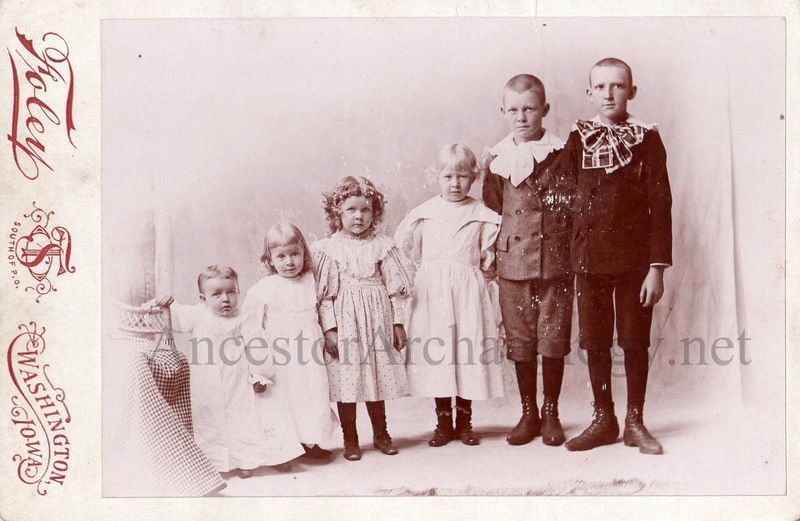 Ancestor Archaeology: Photo Friday :: Cousins! I had to do a bit of genealogy to figure out this group. These are the grandchildren of my 4th great Aunt. Or my 2nd cousins 3x removed! From left to right we have Margaret Dicken (1), Cecil Laura Martin (2), Bess Dicken (4), Mary Martin (6), Burt Dicken (11) and Ralph Jenkins (14). Their grandparents are A B Dickens and Esther Ashby Dickens. The photo was taken in Washington IA c.1896. Burt, on the other hand, looks like trouble. ©2016 Anne Faulkner - AncestorArchaeology.net, All Rights Reserved. Field Notes: Returning To My "Why"